If you were unable to attend the SCDOT Public Meeting on the widening and improvements to Hard Scrabble Road in NE Columbia, do not despair. We’ve got you covered…but, you still have work to do! The meeting was of a format that is very standard for public information meetings. The first hour of the meeting was a session where the design plans were made available on large poster-board for the public to view; representatives of SCDOT and their partner in the project, the LPA Group, were available to answer any questions or provide further insight. Then, at six o’clock, there was a short presentation about the project provided by the Project Managers from both SCDOT and LPA Group. After this presentation, representatives were again available to answer questions. As stated during the presentation, the purpose of the meeting was to explain why SCDOT has proposed the project to widen Hard Scrabble, to provide preliminary widening design alternatives, and to gather input from the public about these initial plans. Since the project is still in its early stage, the plans are not yet definite or set in stone. This is why it is so crucial to be involved from the beginning–it gives the public an opportunity to share their thoughts before plans are finalized. Resources shared with the public from the meeting can be found in a pdf document here. 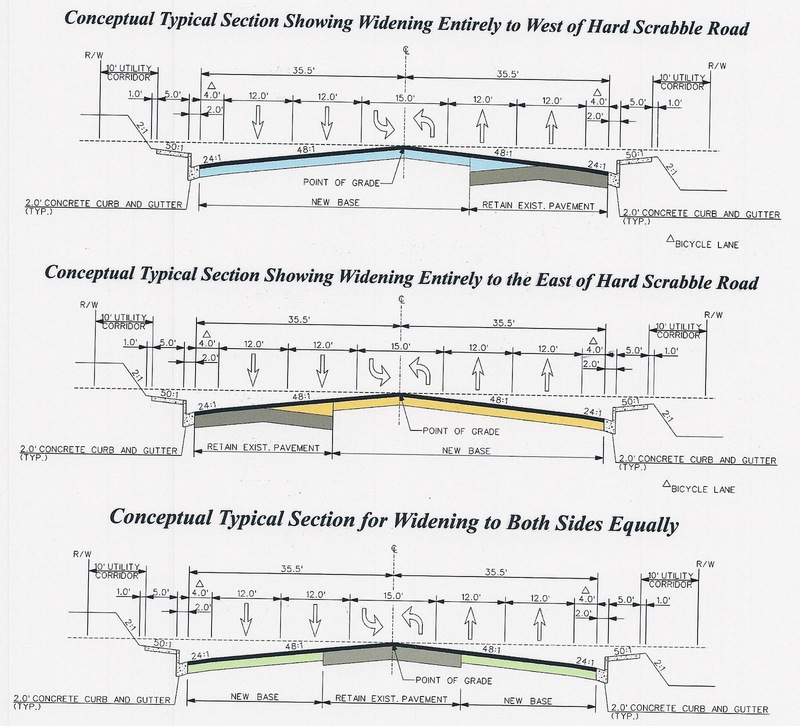 The conceptual design alternatives for the roadway can be found on pages four and five; as a bicyclist, you are most interested in how the plans accommodate bicycle road users. According to the plans, SCDOT is considering one of two alternatives. The first is to widen the roadway from two travel lanes to four, with a center turn lane and sidewalks + bicycle lanes on both sides of the roadway (as pictured above). 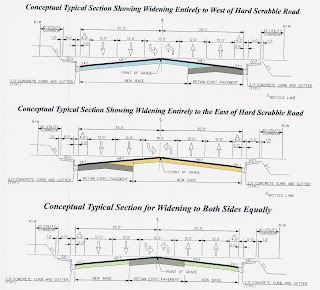 For this option, the intended bike lane width is four feet, which does not include concrete curb and gutter dimensions (far edge of the roadway that gathers a lot of debris and incurs the most encroachment from weeds, grass and rainwater). 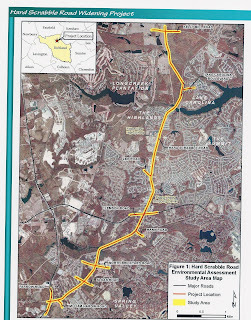 The second option is to eliminate sidewalks and bike lanes, and instead include a multi-use path on one side of the roadway to extend from Farrow Road to Lake Carolina Blvd–which is not the entire length of the project area (see page two or image below for a map). For the multi-use path option, the planned width is 12-feet, which would be separated from the roadway with a 10-foot utility corridor (likely just a grassy right of way). The anticipated incorporation of bicycle lanes or a multi-use path in this project is good news, but your next logical questions, to list a few, ought to include the following: Do the dimensions of the bike lane meet minimum Federal design guidelines; is the bike lane width appropriate considering the marked vehicle speed; how often will the lanes/path be swept and cleaned of debris and weeds; how will the bike lanes be marked through intersections or lane merges; will all road hardware that is utilitzed (ie. drainage grates) be bicycle-friendly? Any road hardware built on the bridge deck ought to be bicycle-friendly. Thank you for taking the time to do this! You play a crucial role in shaping our future transportation options. In reference to the Proposed Hard Scrabble Road, S-83, Widening Project, Richland County, I am in full agreement that Hardscrabble Road needs to be widened. Personally, I’m in favor of the second option, which is to include a multi-use path on one side of the roadway. 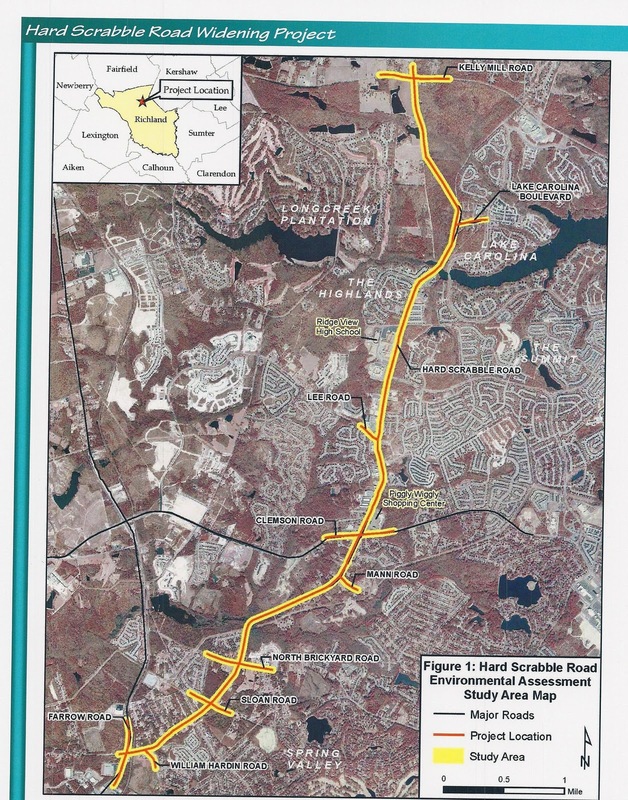 As a resident of Lake Carolina, I would use the path for both bike riding and walking. This is a much needed construction project that should start immediately. Disciplers: You certainly have a right to your own opinion! We were simply intending to offer recommendations based upon the utmost safety and accessibility for bicyclists. If you haven’t already, please submit your comments directly to SCDOT via the website we provided.